I thought we should begin our course with a local writer. Though Ernest Hemingway was born on July 21, 1899 in Oak Park, Illinois, he actually began his writing career as a cub report for the Kansas City Star in 1918. Hemingway’s writing style is very terse. Rather than elaborate, lengthy description, his stories are composed of brief, simple sentences. When responding to criticism that his style was too simple, Hemingway said: “Does he really think big emotions come from big words? He thinks I don’t know the ten-dollar words. I know them all right. But there are older and simpler and better words, and those are the ones I use.” Hemingway believed a writer did not have to rely on flowery language but should focus on just significant details. 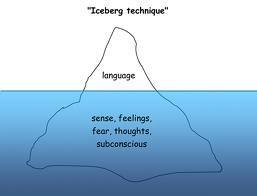 If it is any use to know it, I always try to write on the principle of the iceberg. There is seven-eighths of it underwater for every part that shows. Anything you know you can eliminate and it only strengthens your iceberg. It is the part that doesn’t show. Hemingway makes the comparison between an iceberg and his writing style: as with an iceberg, of which only one-eighth is visible above water, Hemingway only gives one-eighth of the story. In other words, Hemingway provides the surface of the story and asks us to explore what lies below. The details he provides in his stories, especially “Hills like White Elephants,” have so much meaning that lies in the subtext. In this way, Hemingway demands much work from his readers. “Hills like White Elephants” is a deceptively simple looking story: superficially Hemingway gives us a dialogue between a man and girl traveling so she can have an operation. Hemingway does not provide in depth description of the context for their conversation; however, he provides us with clues or hints of the drama lying just below their words. Consider that Hemingway does not give his reader much, if any, background of the American and Jig’s relationship. However, he offers us some key details. 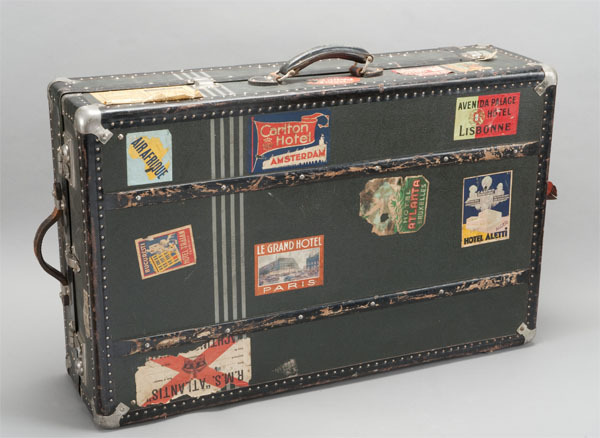 For example, we know that their luggage is covered with “labels from all of the hotels where they had spent nights” (791). What can we make of this detail? Perhaps that the couple is constantly traveling, that they don’t have a home together. At the very least, these labels from the different hotels indicate that this is not a relationship the American sees as long-term. Probably the most important example of Hemingway’s iceberg theory in this short story is that neither Jig nor the American ever explicitly state what they are talking about – all Hemingway gives us are hints. We know it is an operation that Jig will have. They have to travel to have the operation done, suggesting that it is one not typically performed at this time or, perhaps, is illegal. The American describes it as simply “let[ting] the air in.” Jig is hoping that by having the operation “things will be like they were” and the American will love her. Have you guessed what it is? They are journeying so Jig can have an abortion. Now the question is why does Hemingway not just have one of his characters explicitly state this. I have always read their not coming out and saying that Jig is going to have an abortion as giving the story an element of realism: the topic is such a tense point for the American and Jig that it is almost become taboo to say the word. – Jig does not speak Spanish and the American must translate what the woman serving them. The man is only ever referred to as the American. Owen served as a British soldier during WWI. he shot and killed in 1918. Owen takes the title of his poem from another poem by the ancient Roman poet Horace. The last two lines of the excerpt above are quote from the original Latin poem, which translates as “it is sweet and right to die for one’s country.” Essentially, Owen, who died in the War, sees the belief that to sacrifice one’s self gloriously in battle for the country is as outdated given modern warfare, such as poisoned gas and machine guns. In the above lines, Owen presents the image a soldier here chocking on his own blood as he is suffocated by mustard gas. The poem chides those “children ardent for some desperate glory” for being naïve of the horrors of mechanized war. Notice how Weirter depicts the use of poisoned gas, barbed wire, tanks, machine guns, and even airplanes. What is absent from this painting is a heroic charge of soldiers across the battle field. In its place, there is the devastation of the land, which becomes a common theme in WWI art. Here’s another painting by John Singer Sargent, entitled “Gassed,” that presents a group of soldier blinded by mustard gas. Click on this link to read more about Sargent’s painting on the BBC website. Hemingway himself experienced the horror of mechanized warfare firsthand. During World War I, Hemingway, at age 18, served as an ambulance drive for the Red Cross. While on the Italian Front, Hemingway sustained injuries from a mortar attack. Due to these injuries, Hemingway would suffer for the rest of his life from what is now called Post Traumatic Stress Disorder, or what it was called then shell shock. 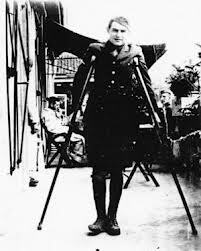 On July 8th, 1918, Hemingway was seriously injured in a mortar attack that would take him six months to recover. For Hemingway and the rest of his generation, the horrors endured during World War I resulted in the loss of faith in traditional morality and an overall sense of the aimlessness to life. This is how we get the term “The Lost Generation,” which Hemingway used to label his generation’s feeling of disorientation. (Hemingway actually introduces the term in his book A Moveable Feast, which recounts his time in Paris among other writers, including F. Scott Fitzgerald.) There was a pervasive attitude among this generation of carpe diem, or living just for the moment without care for the consequences. 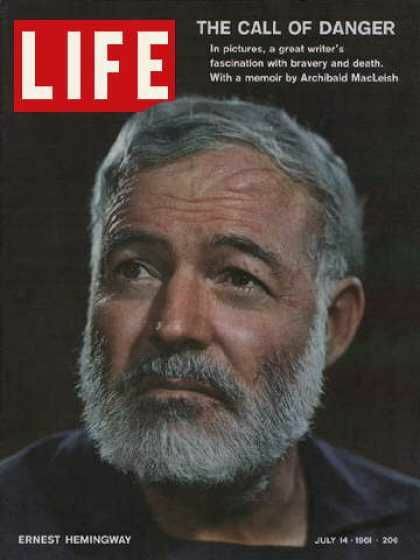 The Biography Channel’s webpage on Hemingway’s life. The KC Star’s page commemorating the reporting he did for the newspaper. Video | This entry was posted in Uncategorized and tagged Ernest Hemingway, Iceberg Theory, Short Story, Subtext, Wilfred Owen, World War I. Bookmark the permalink. He was a very interesting individual. His complex writing has placed an iceberg in my memories of authors.